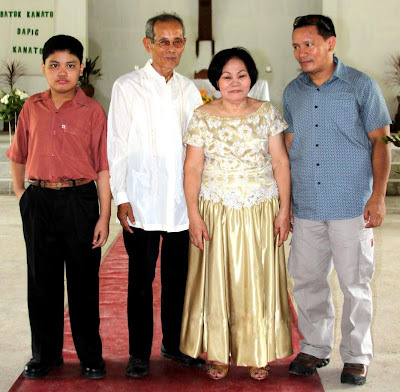 My parents are in their early 70's and they celebrated their golden wedding anniversary last Sept. 29, 2009. 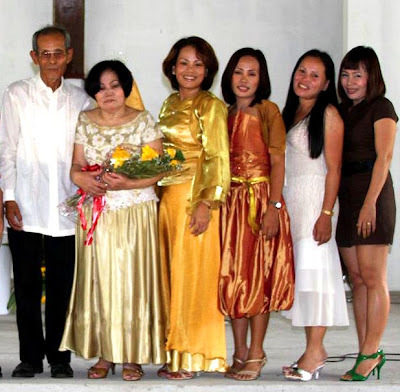 For months, my siblings and I had planned a grand event: video interviews, powerPoint presentations, buffet galore, and hundreds of friends and relatives sharing the joyous occasion with us – the works! 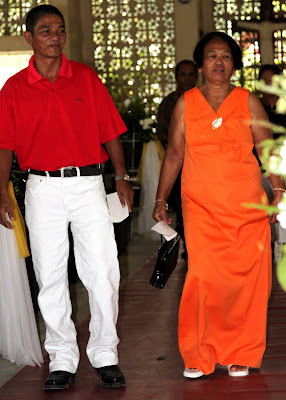 We thought our parents deserved nothing less than a fantastic fete with high (not to mention, tacky) production values. However, my parents had a different idea about how they wanted to celebrate their anniversary. 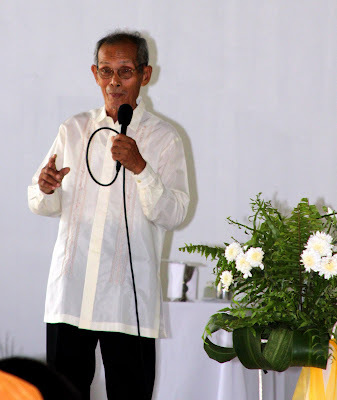 Their wish was to have a much more simple celebration at the kiosk of the Parish Church of Alabel, Sarangani province following the renewal of their vows at the church. 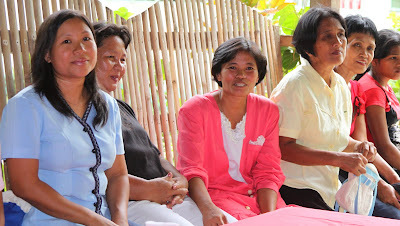 Aside from the family they wanted their guest to be just people they work with in the parish. Fortunately, they made this clear to us before we made the reservations and the invitations were mailed. So, as much as we had been looking forward to hosting a big party, we accepted the fact that it was their anniversary and they should celebrate according to their own plans! They wanted it simple and low-key, yet genuine and meaningful-like their love and marriage we were celebrating. 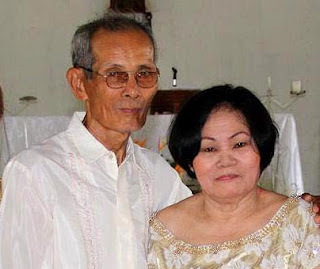 After the ceremony, papa gave a 5-minute talk on how they have stayed together all these years and touched the hearts of those present when he said that if ever they have a chance to go back and be young again, he said that he had no doubt he would want to marry my mother again. Sounds like a cliche but we, their children are living witnesses to their love and commitment. Our parents look like they're always serious but they both have a good sense of humor. Laughter and a bit of cheesy kissing. Add constant conversation (after half a century together, they haven’t run out of things to talkabout!) and the grace of God – that’s how they got their Golden Bond.